Happy Bank Holiday if you’re in the UK! I actually had a different post lined up for you this morning, but I nipped along to my local car boot fair, so I though I’d share my finds with you. As you know, I can’t resist a Queen Elizabeth tin, so to find two plus the prettiest tray made my morning! My heart also skipped a beat when I found the gorgeous vintage glass door handles – one of them has gone a little rusty but I’m hoping I will be able to sort it with a bit of tlc. I hope you have a glorious day whatever you are doing – I have a list of jobs to get done but I’m also hoping to sit in the garden and just be for a little while…my mum always tells me to stop and smell the flowers, and I think that’s such an important thing to remember in this crazy busy time we are living in. I hope you all get a chance to stop and smell the flowers today! 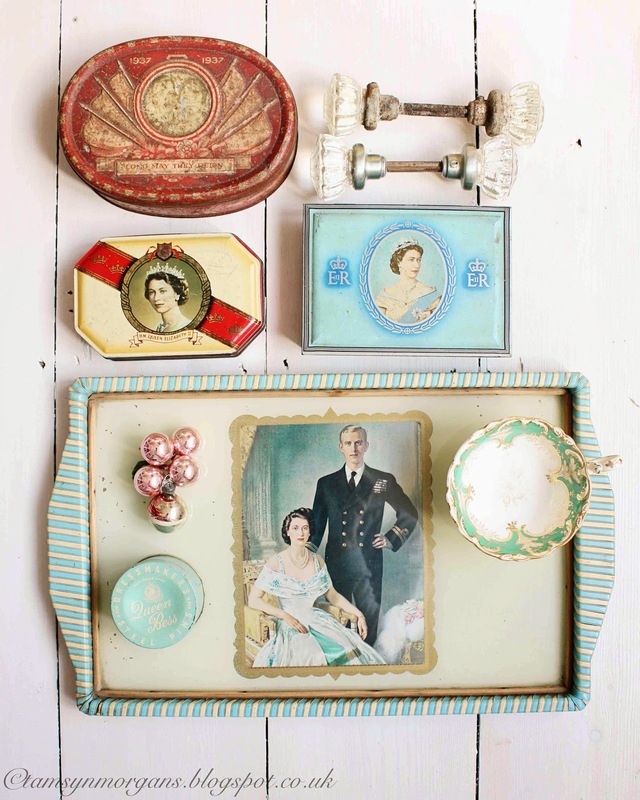 Fabulous finds – love the striped tray!